If your vehicle does not have a vehicle speed sensor (VSS) wire, you'll need to use the KVPG1 speed pulse generator with the KD-NX5000 navigation receiver to ensure proper operation of navigation features. . 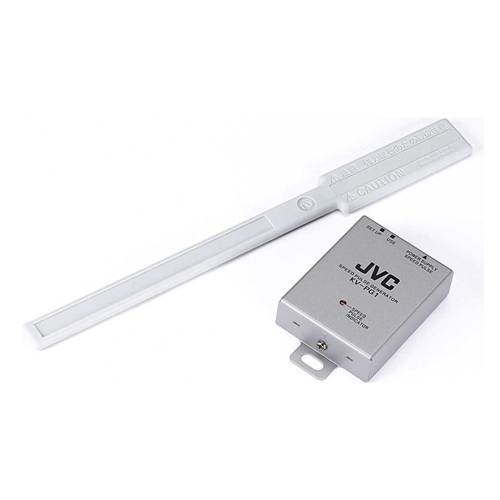 The KV-PG1 provides a manual speed pulse signal for JVC In-Dash Navigation units. For installation in vehicles that do not provide a usable Vehicle Speed Pulse signal or use a digital signal system. Ensures proper operation of navigation features by sending speed information back to receiver.>For use with the JVC KD-NX5000 navigation receiver, if your vehicle does not have a vehicle speed sensor (VSS) wire>Includes power harness with 3-pin Molex plug on one end (has 20' switched power wire with 3A in-line fuse/39" black ground wire/and 39" pink signal wire)> This item cannot ship to APO/FPO addresses. Please accept our apologies.